2019 is kicking off with some #BlackGirlMagic! 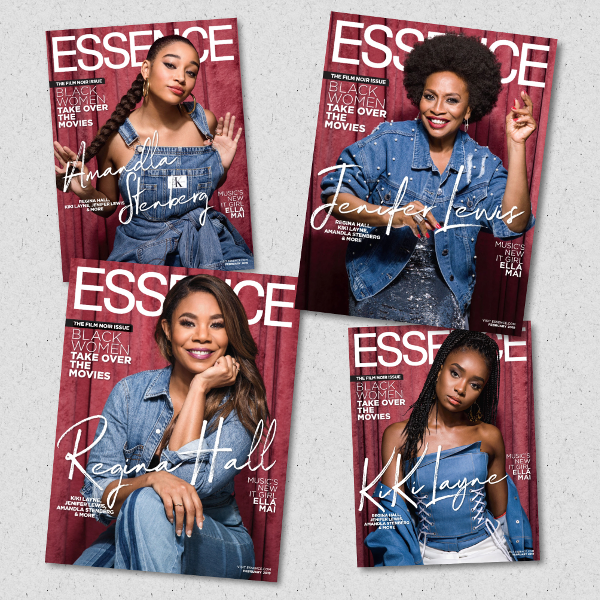 ESSENCE magazine announced this year's honorees at ESSENCE's Black Women in Hollywood luncheon, which is always held each year days before the Academy Awards in Beverly Hills. 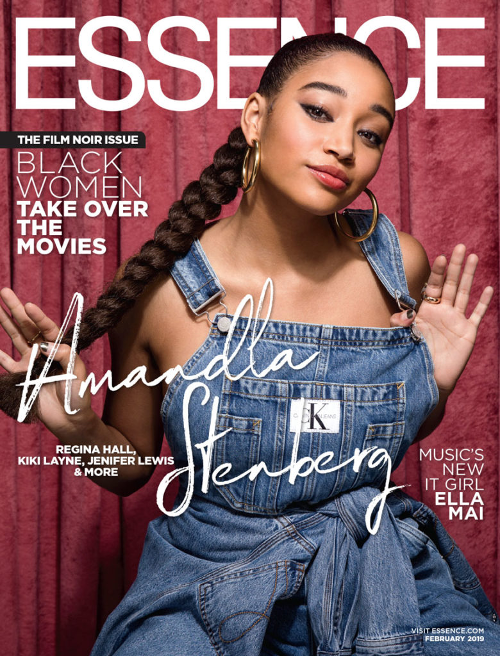 This year fab chicks Amandla Stenberg, Regina Hall, Kiki Layne and Jenifer Lewis will be honored and they cover the magazine's Film Noir issue to celebrate. 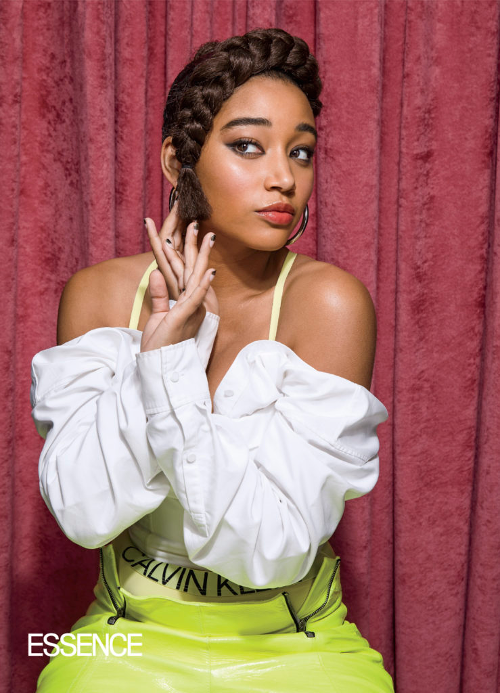 Amandla Stenberg shook up the box office with her latest film, The Hate U Give, where she served up a raw and real portrayal of 16-year-old Starr Carter. Not only is she a force on the big screen, but she also consistently uses her platform to advocate for larger social causes impacting communities of color. “I look for characters and stories that conceptualize a Black experience without minimizing it or falling into harmful stereotypes. I want characters who raise us up and show the nuance of who we are and how beautiful and multifaceted and colorful we are too,” she shared. 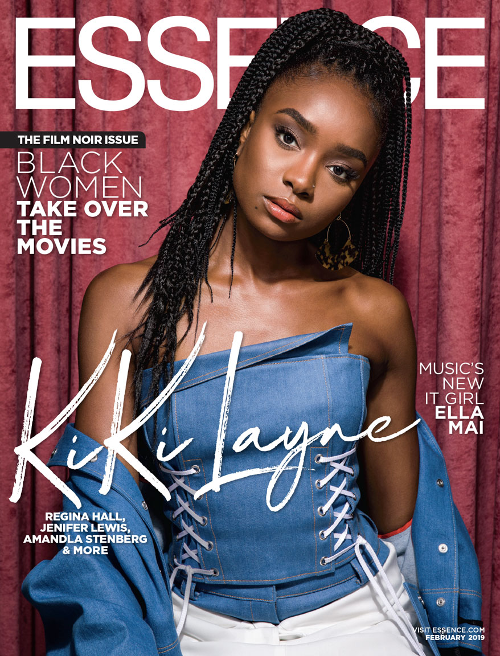 Kiki Layne is a newbie in the game, but she's already making her mark on the big screen and on the red carpet. Her performance in Barry Jenkins’ critically-acclaimed film adaptation of James Baldwin’s If Beale Street Could Talk has further ignited the conversation around the beauty of representation, as well as the power and resilience of transparent Black love. 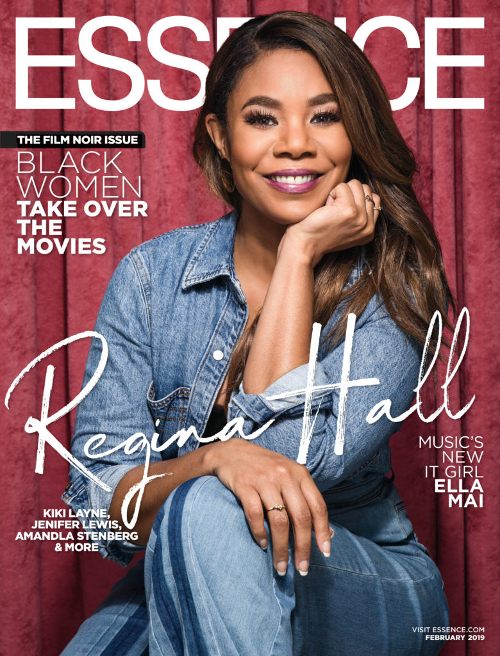 Our girl Regina Hall is a vet in the game after landing her first television role in 1992. Over the 25 years she has been in the industry, she has slayed several roles in films like The Hate U Give, Girls Trip, The Best Man, and Scary Movie, just to name a few. Oh, and she's STILL a baddie. 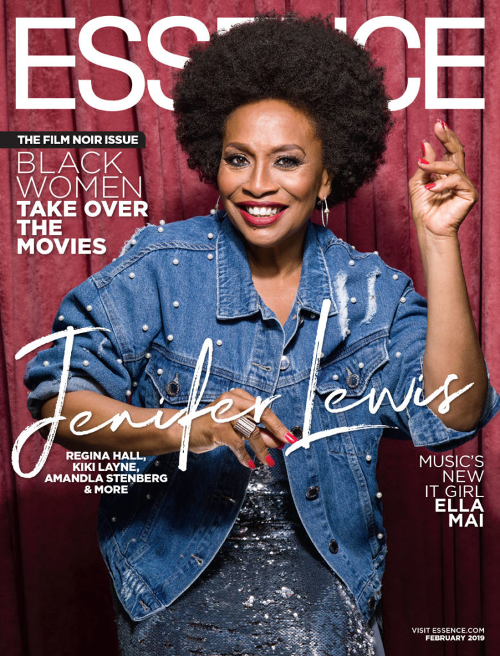 One of our fave on-screen moms/aunties, appropriately deemed the “Mother of Black Hollywood,” Jenifer Lewis has been keeping us all entertained for more 30 years. The 62-year-old earned her title as the "Mother of Black Hollywood" as she usually stars as someone's sassy-not-taking-any-BS-from-anyone type mom. The YBF legend brough her infectious brand of comedy and undeniable talent to film, television and theater with notable roles in films like Sister Act, Poetic Justice, Dead Presidents, The Preacher’s Wife, The Princess and the Frog and Think Like A Man, as well as television shows like "A Different World," "The Fresh Prince of Bel-Air," "Moesha" and "Girlfriends," to name just a few. 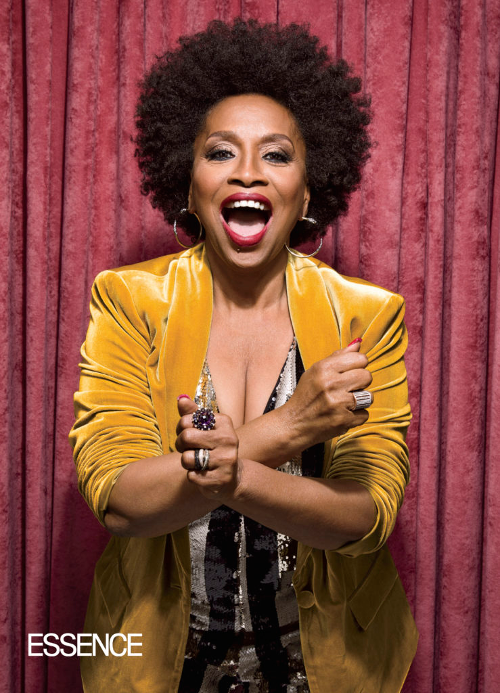 Most recently, she’s become a fan-favorite on ABC’s Emmy Award-winning family series, "black-ish." And we love what she does as well! The four covers hit newsstands January 25. The 2019 ESSENCE Black Women In Hollywood Awards goes down Thursday, February 21st at the Beverly Wilshire in Beverly Hills, CA. PREVIOUS: #SantanaPutARingOnIt: Go INSIDE Juelz Santana & Kimbella's Wedding Ceremony!